The Overhead Crew is responsible for the installation and maintenance of all overhead power distribution facilities in the Duncan Power system. These facilities comprise about 65% of the overall power distribution system. 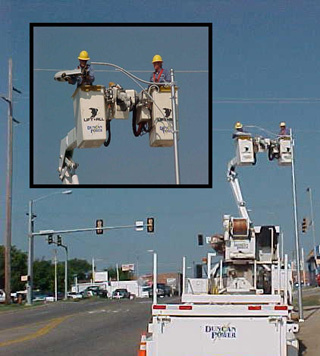 Also the overhead crew is involved with the installation, programming, and maintenance of street lights.